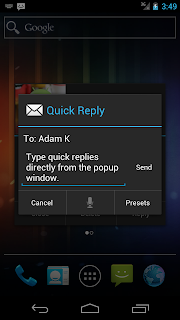 After almost 1.5 years without a release, SMS Popup v1.2.0 is now out on the Google Play Store. Apologies for the lengthy delay between releases, my personal life has been just a tad busy and a major re-write of the app was required to support many new features. So what's new? See below, but behind the scenes I gutted the code and re-wrote much of it to take advantage of the more modern Android OS version APIs. 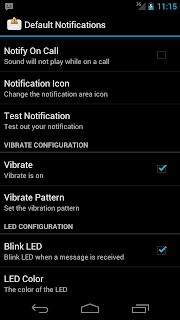 This includes a nice new Android 4.0 (Ice Cream Sandwich) Holo theme for the latest devices plus some patterns taken from the Android Design site (like swipe gestures to navigate multiple unread messages!). 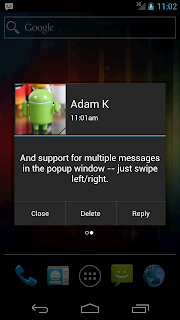 I also created a Google+ Page for SMS Popup, so head on over and leave any feedback or comments. 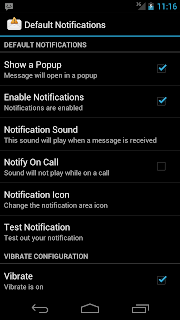 Fixed: in some specific cases, messages weren't being marked as read when hitting "close"
Fix rogue messages appearing from "(unknown)"
A minor SMS Popup update is now available from Android Market. I have been working on refactoring a lot of the code to allow for multiple messages within the popup - before spending the time to do that I wanted to get this minor update out. So stay tuned, hopefully the next release will have more significant updates! 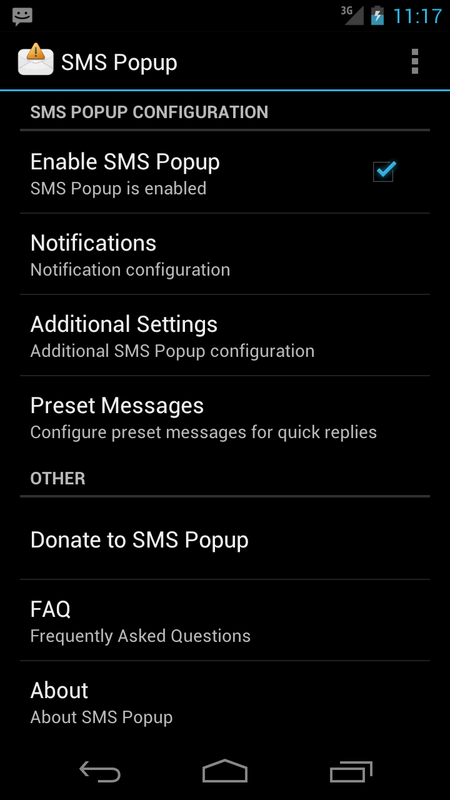 Want to contribute to the SMS Popup project? Here's how. 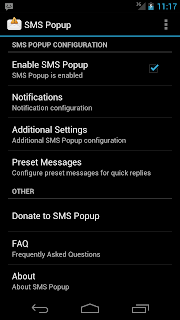 SMS Popup has now been translated into 18 languages via various contributions from around the world. If you find missing or incorrect translations in SMS Popup, or would like to translate the app to a new language, check out the wiki page on how to get going using a collaboration platform called Launchpad. I would love to see translations for some more Asian languages (especially Korean and Japanese!). 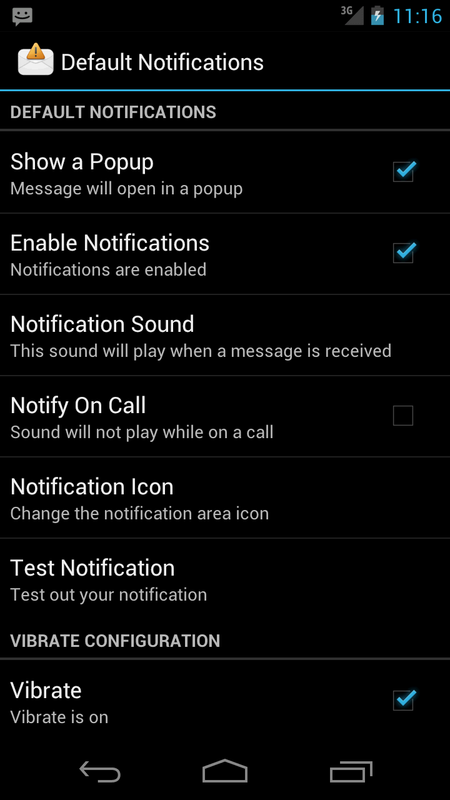 Version 1.0.9 of SMS Popup adds support for choosing your own notification icon. If you're a graphics guru and would like to contribute some cool icons for the next release, drop me an email or attach the icons over at our Google Code site. What we need are a 25x25 pixel and 38x38 pixel version of the icon(s) in png format. 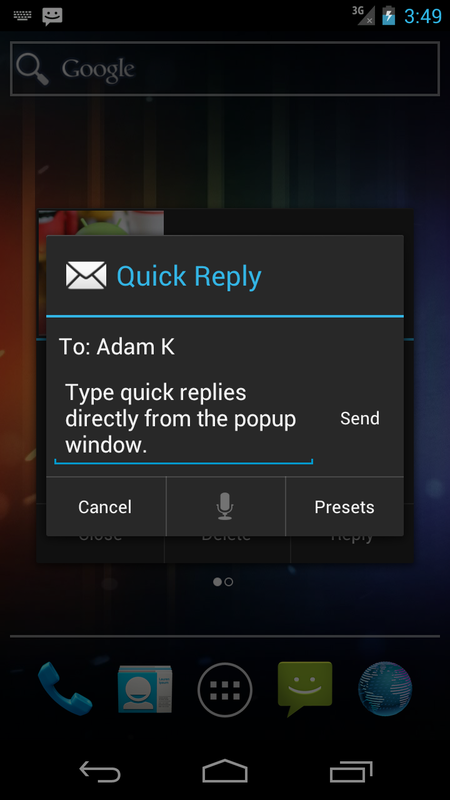 In addition, I'm hoping to add some custom backgrounds for the popup window in a future release. Android uses something called a 9-patch png file to correctly scale to the background of views. It would be much appreciated if anyone out there is able to contribute some nice looking backgrounds to use. 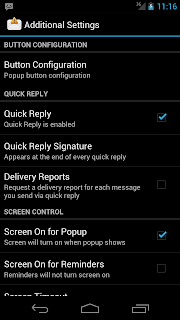 Finally, if you spot any problems with SMS Popup, either email me or file a bug over at our issue tracker. However, please try and include as much information as possible in the report - this will make troubleshooting the problem a lot easier (things like phone model, carrier, OS version and how to reproduce the problem are really useful). If you're on a device with Android 2.2 (Froyo), another great way to provide feedback is to use the built in Android "Report" button that appears on the "Force Close" dialog. 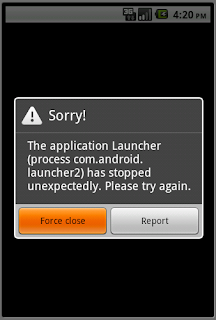 Simply click "Report", type in some information about what went wrong and click "Send". 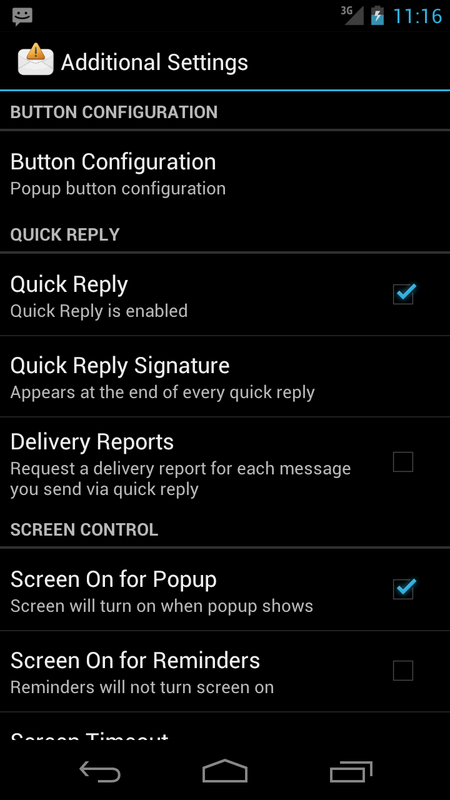 Bug fix: Messages sent from quick reply on Droid X (or any Motoblur phone) were resending on reboot (and some other system events). 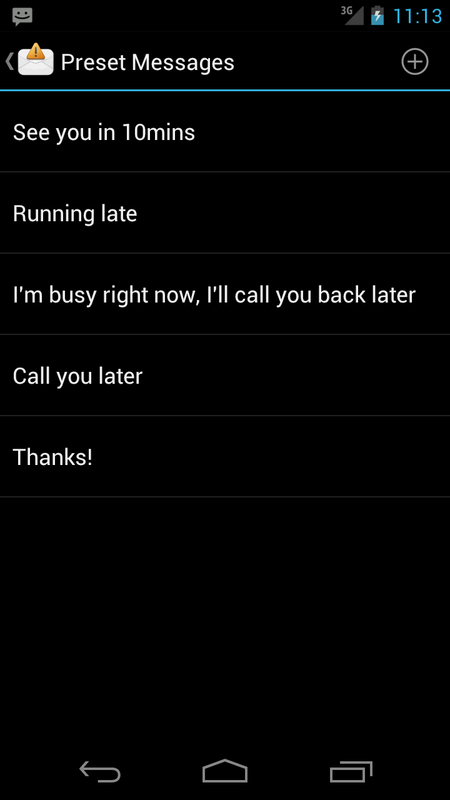 Refreshed translations from launchpad, SMS Popup now translated into 18 different languages! 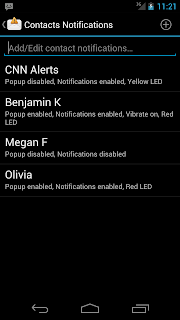 Sorry for the lack of updates to my two main Android apps - SMS Popup and Countdown Alarm - as of late. I just haven't had any spare time to work on them :| But fear not, the projects are still alive and I'm hoping to have some time in the next month or so to start working on them again. A number of people have contributed translations to SMS Popup as well and I know they are patiently waiting for a new Market release that includes the updated strings. 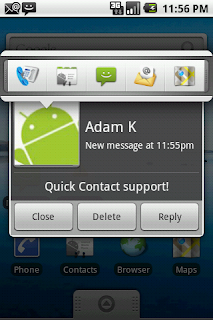 Head on over to Android Market to grab v1.0.8 of SMS Popup. 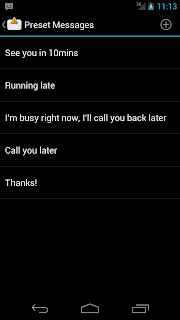 This release has a few new minor features, better MMS support, some bug fixes and refreshed translation strings. 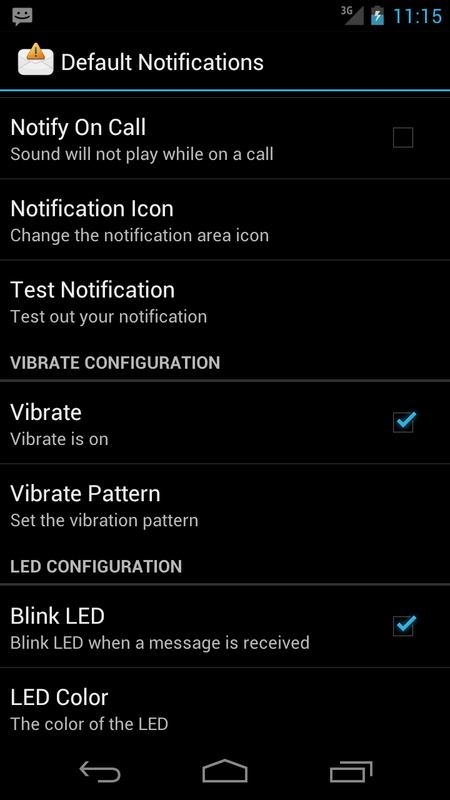 Assuming this release is stable, we're going to start working on some bigger features for the next release. Speaking of which, I'd like to introduce Macarse - he has been helping me get SMS Popup setup on Launchpad Translations to better handle the various translated strings and going forward will be helping to build new features and fix bugs within the SMS Popup code itself (thanks for all your help up till now and hope we can continue to improve the app together!). Speaking of the new translation setup - if you would like to contribute translated strings to SMS Popup, it's now super easy, see our Translation Wiki entry for how to get going. 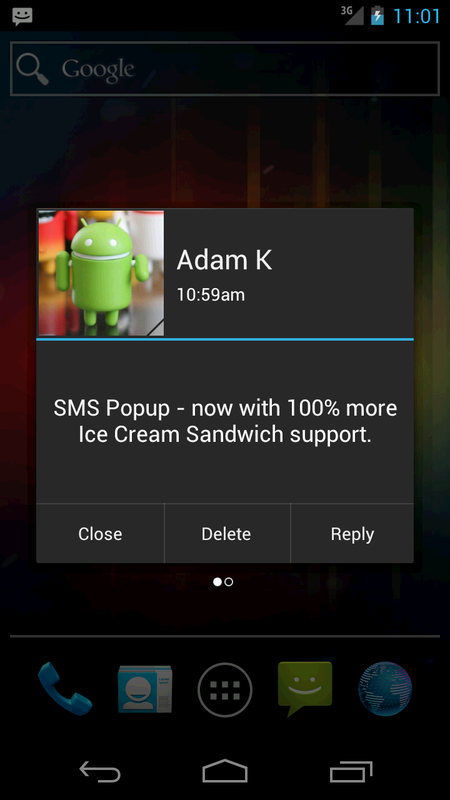 Head on over to Android Market to grab v1.0.7 of SMS Popup. I haven't had a lot of spare time recently to work on the app (which is also why I forgot to write a blog post for v1.0.6) so I've mostly been working on tweaks and bug fixes. Assuming I have a bit more spare time in the coming weeks/months, expect to see some larger features in the next release. 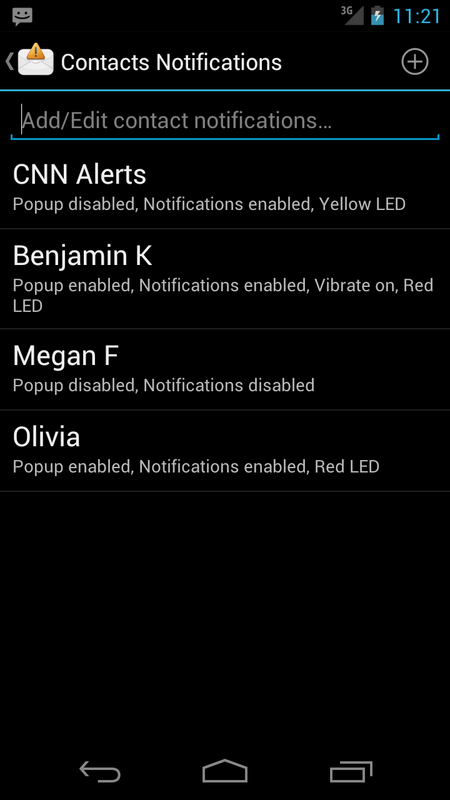 Several other app tweaks (including new higher res app icon for higher res phones like Droid and Nexus One!